Stock up in time for the holidays! 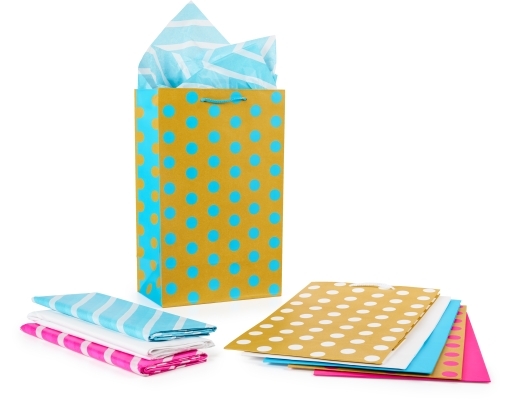 Make their holidays happy with a bright and sparkly, mini gift presentation. 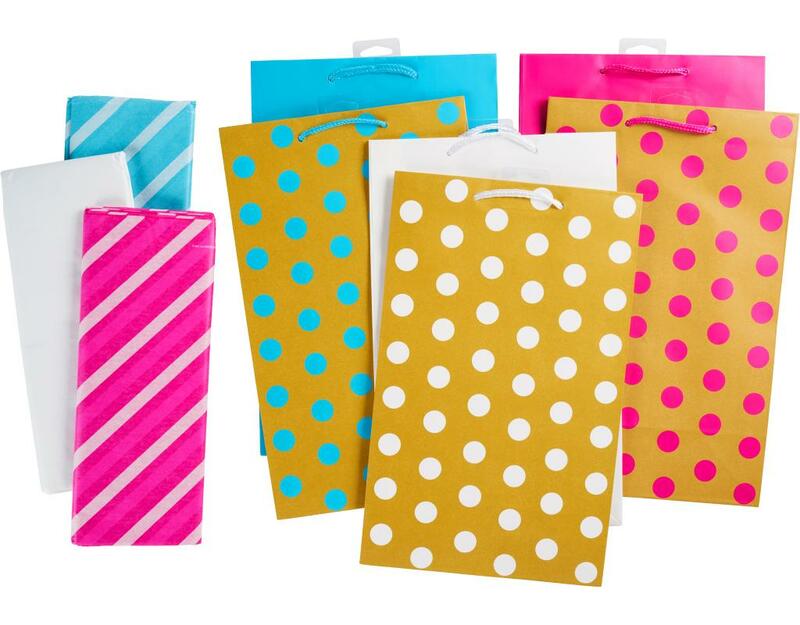 These gift bags feature polka dots on a shiny golden background with coordinating colored ribbon handles. 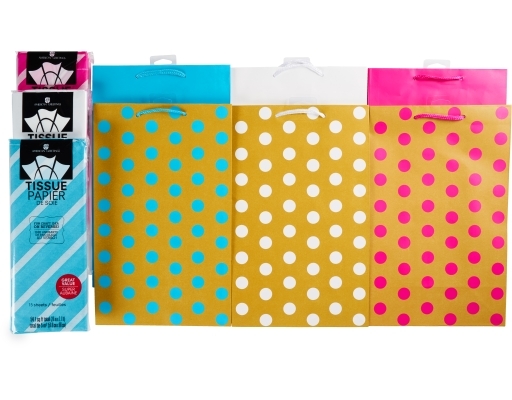 These gift bags are ideal for wine bottles, accessories, electronics and other small gifts. Stuff with the coordinating tissue paper for a festive touch. Perfect for sharing a holiday surprise with anyone! Gift bag measures 7.75 in. x 4.5 in. x 12.5 in. when open.